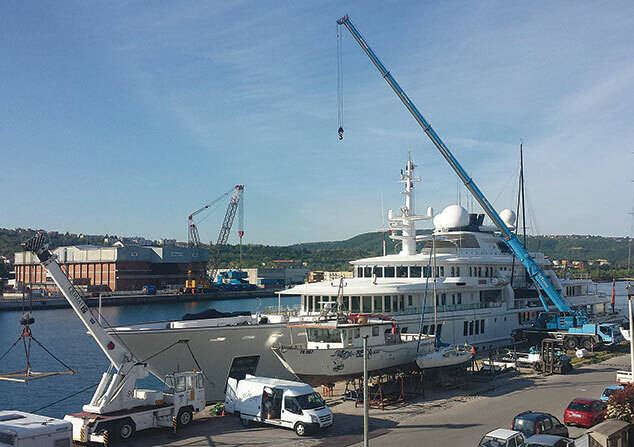 The yard is a new resource for Officina Navale Quaiat, which is planning refitting and repairing projects for superyachts, a sector that is increasingly demanding in terms of luxury and technology. The company’s policy is to never work on more than four yachts at the same time, in order to be fully focused on its clients’ needs. A travel lift up to 800 t will shortly enter into function.